The FWA-1010VC is an off-the-shelf customer premise equipment (CPE) platform based on Intel x86 architecture optimized for deploying virtual network functions (VNFs) and services in enterprise and small to medium businesses. The platform is primarily destined for communication service providers (CSPs) and enterprises leveraging the advantages of NFV and SDN to replace fixed function systems with an open platform running these functions as VNFs. While legacy networking solutions consist of tightly integrated hardware and software from a single supplier, Network Function Virtualization (NFV) -based vE-CPE allows for a logical and flexible separation of hardware and software. The vertical silos with vendor lock-in are transformed into a horizontal mix-and-match approach that Advantech and key software partners are embracing to allow customers gain maximum flexibility by procuring hardware and software separately. NFV based software solutions and vE-CPE equipment offer substantial CapEx and OpEx savings by replacing multiple special purpose appliances with a single platform. They also greatly enhance operational flexibility by enabling new and scaled-out services without the need for truck rolls. For example, a CSP can easily close security gaps by updating a firewall service remotely, add virus protection, and spin up a WAN optimization service, all through remote orchestration and without the need to install more hardware. Service deployment cycles can thus be collapsed from months to hours, encouraging CSPs and enterprises alike to deploy these technologies faster to gain an early competitive advantage and reap operational benefits sooner. 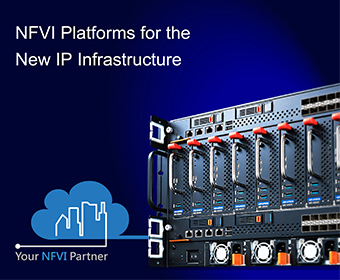 Together with tested and certified solutions from key NFV software vendors, Advantech supplies FWA-1010VC network appliances that have been profiled for exact performance and feature sets and are ready for deployment on customer premises. Available as an Advantech branded or customer branded box, dvantech offers extensive integration and test services prior to packaging and labelling, all according to CSP specifications and software options. A worldwide logistics network offers a flexible delivery model to meet unique needs and budget. Advantech simplifies both delivery and advance replacement logistics so that service providers can bring final products to market on time, meet service level agreements and enjoy a timely return on investment.